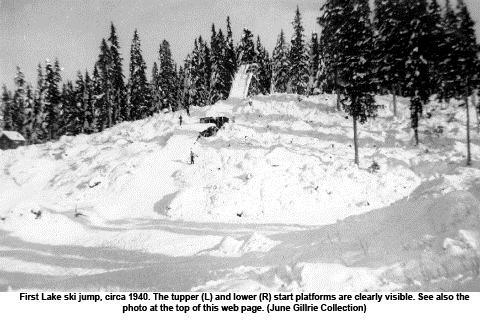 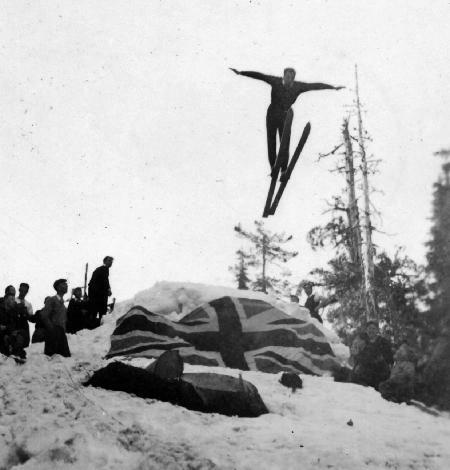 Already in 1925 at Mount Seymour north of Vancouver the “Old Mill Ski Camp” was founded by Swedish immigrants and the first little ski jump was constructed. 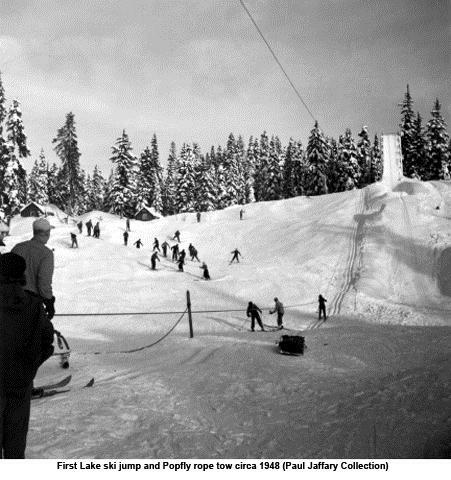 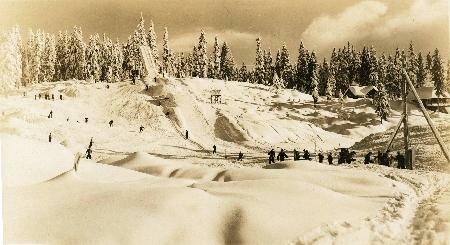 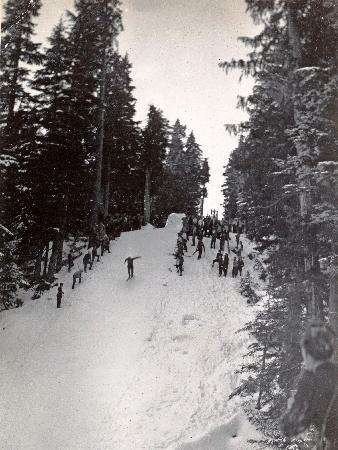 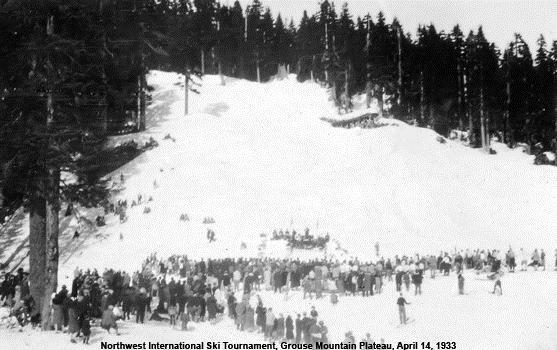 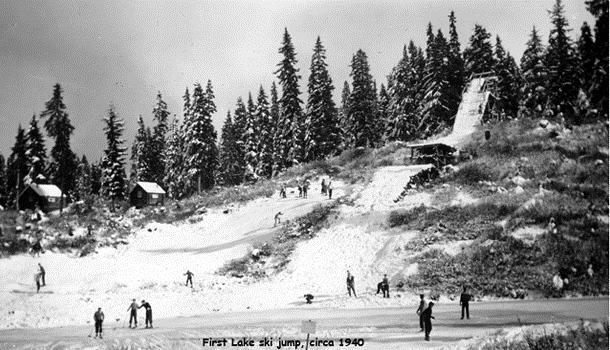 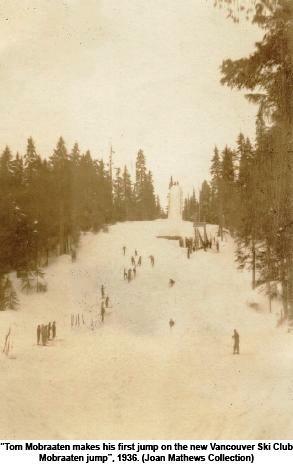 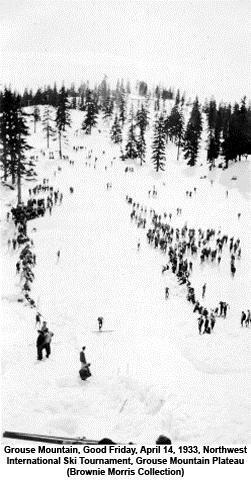 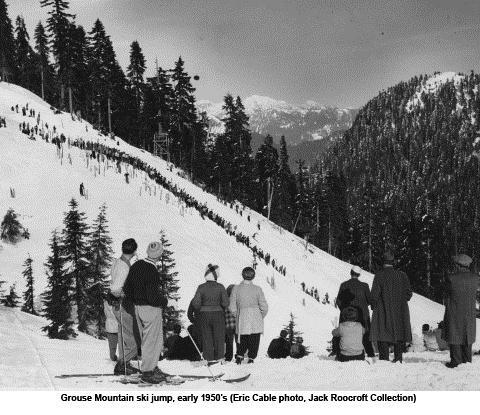 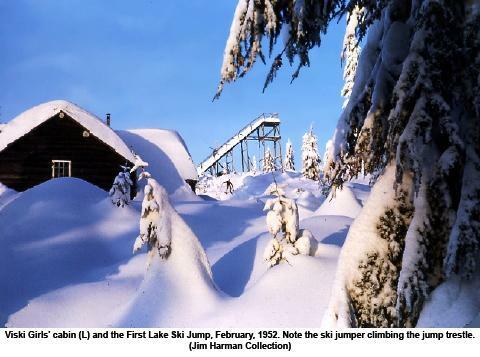 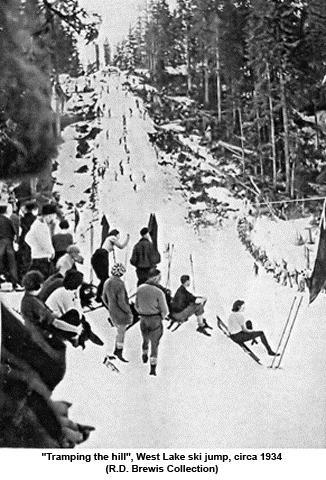 In 1927 skiing activities were settled to “First lake Ski Jump” near newly opened Hollyburn Camp at Hollyburn Mountain. 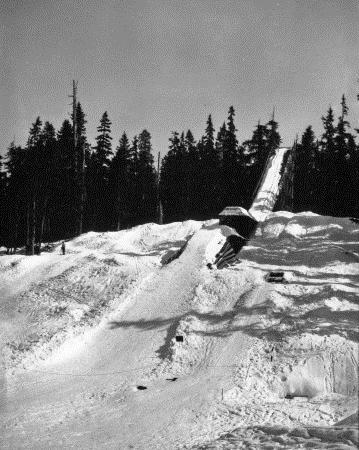 At the same tame a ski jumping hill at Grouse Mountain Plateau was installed. 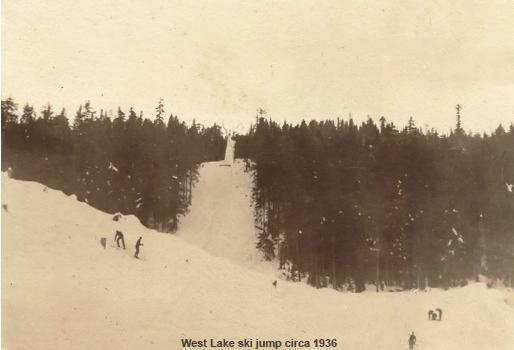 In 1934 “West Lake Jump” was opened. 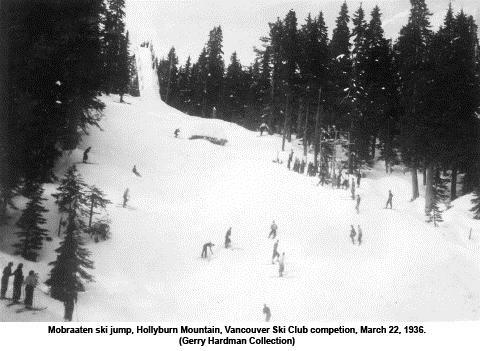 Many skiing championships of Vancouver were hosted on the 40 meter ski jumping hill. 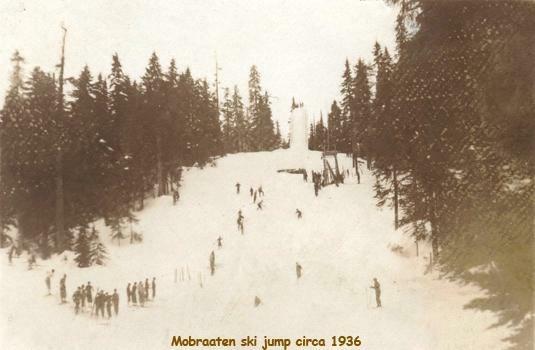 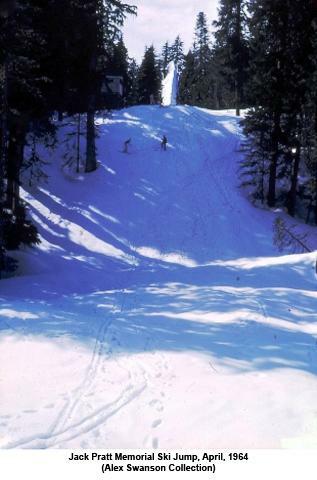 The next larger jump was “Mobraaten Hill”, which was used from 1936 to 1939. 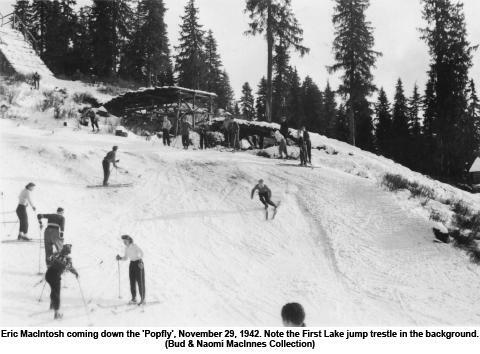 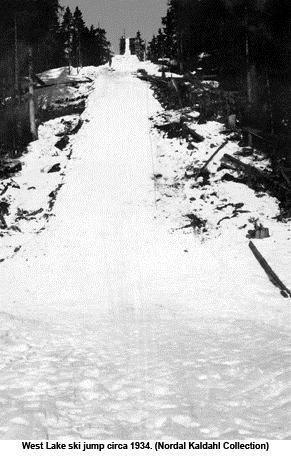 In 1940’s First Lake ski jumping hill was reconstructed, but finally closed due to a lack of interest in 1956. 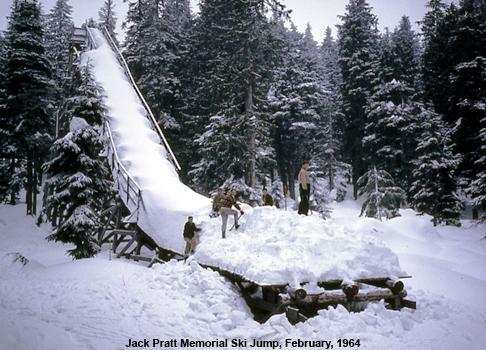 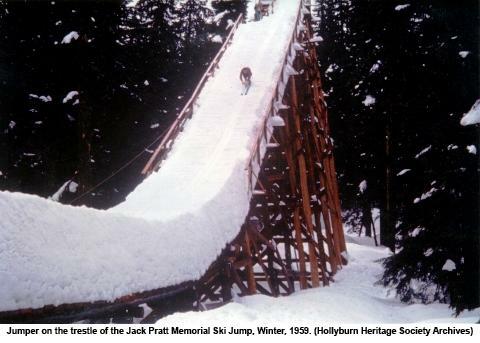 In 1958 Jack Pratt Memorial Ski Jump with a 10 meter high inrun tower was constructed. 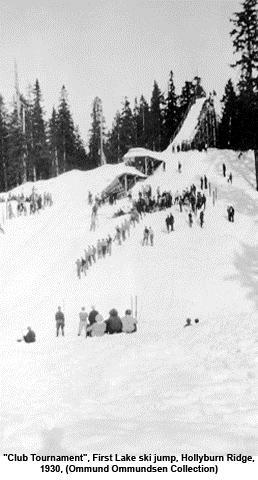 But there jumping was only possible until 1967, which meant the ending of ski jumping activities on the north shore of Vancouver.